A private island a short boat ride away from Hunting Island State Park is the latest addition to South Carolina’s park system. 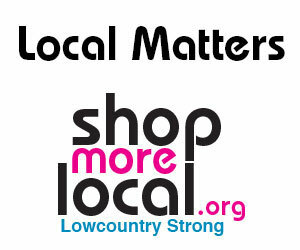 And Lowcountry residents will be able to start exploring it soon. At the end of December, media mogul Ted Turner sold his private barrier island, St. Phillips, to South Carolina for $5 million. The island’s ocean-facing beach is about a half-mile long, while the island itself is marshy, wooded and undeveloped. State Sen. Glenn Reese compared it to Jurassic Park thanks to its jungle-like dense trees, swampy pond with alligators, towering trees that wind and bend over shaded paths, lush tropical plants and winding creek. Turner bought the Beaufort County island in 1979 as a private escape for close friends and family. “After sharing many fond memories together on the island, my family and I now look forward to others being able to experience and appreciate the unique beauty and tranquility that St. Phillips has provided us for so many years,” Turner said in a news release. The purchase of St. Phillips Island adds to the already high cost of rebuilding Hunting Island State Park, which was badly damaged by both Hurricane Matthew and Hurricane Irma and a long battle with erosion. But the revenue it brings in could help support the Beaufort County state park, which already draws in around 1 million visitors annually and is one of the most visited in South Carolina. The development of St. Phillips is still under discussion, but there are many ideas on how it could be used: small group tours, overnight stays, small corporate outings, weddings. The island might also feature general public state park amenities such as camping, public beach access or possibly renting out parts of the existing buildings on the island. The island comes with a large owner’s residence as well as a house for a property manager and a shop, water tower, docks and vehicles. The existing buildings are more than 30 years old, but officials say they are in good condition. The property can only house an additional 10 dwellings due to its protection under The Nature Conservancy, and the island is only accessible by boat. It is about a 20-minute boat ride away from Hunting Island, and will be considered an extension of Hunting Island State Park. Dawn Dawson-House, director of corporate communications at the South Carolina Department of Parks, Recreation and Tourism, said the newly acquired land would practically double Hunting Island State Park in size — but not necessarily space, because much of the land is uninhabitable. “We will spend the first six months looking at the assets and what we can do with the limited resources we have, then will develop a plan for the extra land,” Dawson-House said, adding that the island should be open to visitors in about a year.